Though perhaps the place that attracts the fewest tourists on the list, ASU West deserves a visit even if you aren’t currently picking out a college. The beautiful campus is a fine place for an afternoon stroll, and the 400,000-volume Fletcher Library lets non-student visitors check out books. There’s free events open to the public going on all the time, as well. The main public library for the city of Phoenix, the Burton Bar is notable for both its unusual architecture and its holdings of 700,000+. The main reading room is a full acre in size, while the Arizona Room has invaluable resources for local research. Though available only by appointment, the Alfred Knight Rare Book Collection is worth seeing—it contains ancient cuneiform tablets and medieval manuscripts, plus a page of the Gutenberg Bible. Discover the history of Judaism in Arizona at what was formerly Phoenix’ first synagogue. Alongside the main museum gallery is an archive of photographs, documents, and both video and audio oral histories recording the Jewish experience in the Southwest. Documentary screenings and book discussions take place each month. This is undoubtedly one of the most exciting archeological sites in Arizona. The museum offers some great exhibits, but the main event is outdoors, found along the trail that winds through the 47-acre grounds. This is the Hedgpeth Hills petroglyph site—well over a thousand carved symbols adorn the rocks, the work of native artists who lived between 500 and 7,000 years ago. The culture, history and works of art created by the indigenous people of the Americas forms the subject of this museum, with a special focus on the tribes of the Southwest. The crossover between art and history makes this a particularly interesting museum, with everything from exhibits on 19th-century boarding schools for native children to galleries of work by contemporary artists. Mystery Castle is by far the strangest Phoenix Point of Pride. A gift to his abandoned family from a dying eccentric, the roughly three-storey (no two rooms are on the same level) mostly-stone structure (also incorporated: automobile parts and mine-cart tracks) has 13 fireplaces and is supposedly held together by a concoction of cement, mortar, calcium, and goat milk. And you can see all this unusual architecture for yourself—the castle is open for public tours. The largest museum of art in the Southwest, the Phoenix Art Museum boasts a comprehensive collection with nine curatorial departments and three specialized galleries. Art heavyweights such as Ubertini, Claude Monet, Pablo Picasso and Georgia O’Keeffe are all represented, and events include weekly film screenings, lectures and art workshops. The sculpture garden courtyard and the museum restaurant, Palette, are also worthy of a visit. 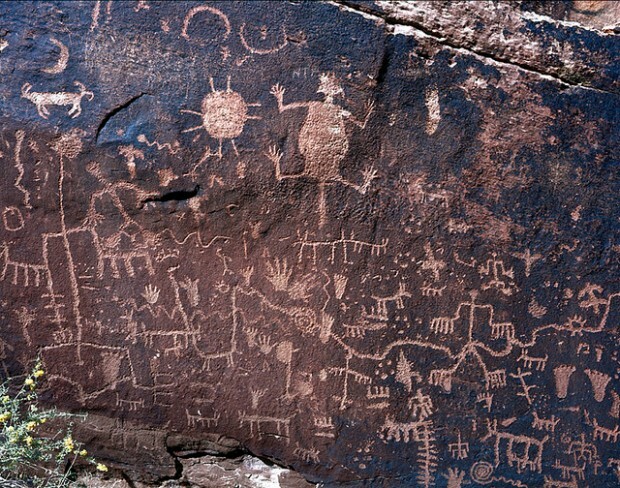 Much like the Deer Valley Petroglyph Preserve listed above, this Point of Pride is two-fold. First, there’s an archeological museum focusing on the extinct Hohokam culture and other early people groups of the Southwest, containing with three galleries and a theater. The other half is an important archeological site, a trail leading to a 1,500-year-old ruin in the form of a platform mound and several irrigation canals used by the Hohokam—it’s the sole National Historic Landmark in Phoenix (And complimentary umbrellas are provided for those walking the trail in the heat of the day!). Phoenix seems to have a lot of homes-turned-museums, and this is another. Unlike many of the others, however, this one isn’t about its own history. Instead, this historic home has become an art gallery, featuring Arizona artists working in all styles. It’s a good place to be if the visual arts are something you’d like to get into yourself, as well, since classes taught by local artists are regularly offered. It’s Phoenix’ oldest Catholic church, dating back to 1881, and mass is still celebrated daily—but don’t let that scare you away. If you’re a non-Catholic who’s drawn to art and history, it’s a place you’ll still want to see, given that it has Arizona’s largest stained-glass window collection, and docent-led tours are available on request. A theme begins to develop in this list—it’s a castle built in the early 20th century, it was once the home of the extremely wealthy, and now it’s something of a museum. The three tiered wood and stucco structure is one of Phoenix’ most recognizable landmarks, and the surrounding gardens contain 5,000 cacti of a hundred different species. In the heart of Arizona state government you’ll find this collection of memorials within a memorial. The plaza itself, which fills an area of the State Capitol grounds equivalent to two city blocks, is named in memory of Wesley Bolin, a governor whose brief term was preceded by 28 years as state secretary. Within its expanse stands 23 other memorials, honoring Arizona achievement and sacrifice—among them, the anchor of the USS Arizona, sunk at Pearl Harbor. But that’s only a third of it—the Phoenix Points of Pride also includes all sorts of parks and gardens worth checking out, as well culture and entertainment galore.